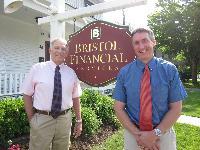 Bristol Financial Services offers financial services for both individuals and businesses. With over two decades working in financial services industry, we have experience with the various market cycles and the full range of financial planning challenges. This experience has helped us create a disciplined financial risk management process. At Bristol Financial Services, we will guide you through the range of Our Services: individual investing, retirement planning, life, health, disability and long-term care insurance, and employee benefits.